Stein Solutions is here to help. 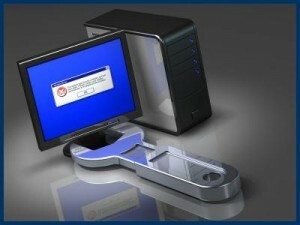 Troubleshoot any fix any Windows issue on desktop, laptop, or server. Expert in removing malware or viruses not caught by Kaspersky/Trend Micro, etc. Can manage and support all of your PCs. We specialize in virus/adware elimination, computer tuneups, and customer education. Our prices and quality are unmatched in the market. We do remote support anywhere in the world, and local support in the Dallas/Fort Worth Metroplex. I have worked with Harry as a co-worker and also hired him to repair my son's laptop and our personal computer. He is a rarity, an honest person, a true Christian man and he does excellent work. He is knowledgable and professional. Mr. Stein's expertise and professionalism superseded my expectations. My computer problems were completely resolved and he went above and beyond by providing education on how to avoid similar problems in the future. I would highly recommend Mr. Stein's service.